558 pages | 187 B/W Illus. Sleep apnea is a common chronic condition affecting millions of people. 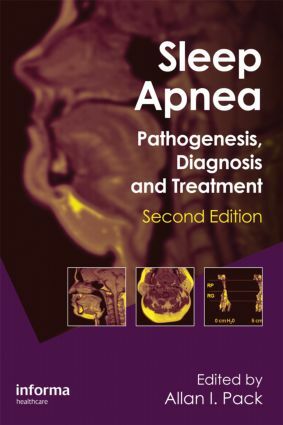 Written by a multidisciplinary team including sleep medicine specialists, pulmonologists, scientists, psychiatrists, otorhinolaryngologists, and more, this text provides essential scientific and clinical information for those treating and researching the condition. Organized into sections and subsections to make the book easier for the reader to use, this essential text also examines sleep apnea in special populations, such as children, older adults or pregnant women, and takes into account gender differences in the disorder.